In SharePoint 2010, Shared Service Providers (SSP’s) are replaced by Service Applications. Services are no longer combined into a SSP. They run independently as a service application. The service application architecture is now also built into Microsoft SharePoint Foundation 2010, in contrast to the Shared Services Provider (SSP) architecture that was only part of Office SharePoint Server 2007. Services can be managed and scripted by Windows PowerShell. One major advantage to this new architecture is the flexibility in scaling service applications up and out. Another advantage is that service application to other farms. To do this you simply install the service application’s proxy in the other farm and point it to a specific URI provided by Central Administration when you publish the service application. This enables enterprises to have dedicated service farms that can be specially configured based on the services that are provided. They could then share these service offerings with other SharePoint farms in the enterprise or with customer farms. Print article This entry was posted by Derek Bierhoff on December 9, 2011 at 3:00 am, and is filed under European Sharepoint Hosting. Follow any responses to this post through RSS 2.0. You can leave a response or trackback from your own site. 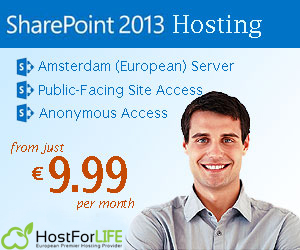 SharePoint 2013 Hosting – HostForLIFE.eu :: How to Fix Unable to Approve Multiple items in SharePoint 2013?